Un-be-lie-va-ble! Four million smiles spread in postcards around the world! Even our little mail carriers are thrilled! Well done to all postcrossers, each and every one of you contributed to this milestone. You’re amazing! The four millionth postcard received through Postcrossing traveled from JS1980 in Czech Republic to scheppie in The Netherlands. Lovely postcard, isn’t it? Nobody guessed the correct countries this time… so only the sender and the receiver will receive a coupon for a 60 postcard pack from MOO. Remember that until April 15th, MOO is offering all postcrossers a 15% discount on the purchase of any pack of postcards (20 or 60), with the code POSTCROSSING15. Enjoy! PS – thank you Yvi-1 for the cute picture with our wandering mail carriers! Yay!! Congratulations to all postcrossers!! Awesome, awesome and awesome. and a huge thanks to our mods, helpers, background bods and all the people who made this possible. Including the people who purchased stamps, wrote cards and sent them! Wooohooo!!! Congratulations, and thanks to everyone involved, what a highlight!!! Thanks you Jan for sending this summer-postcard. Wonderfull to know that 4 million postcards have arrived. Wow! Everybody congratulations with this milestone. We did it all together! Well done Paulo and Ana! We cannot start the countdown for the 5th million smile. !!!!!!! YEA !!!!!!!!!! Great milestone, wonderful card - congrats and I'm so happy to be along for the fabulous ride! Congratulations! Lovely postcard, nice and bright. Let's continue ! Postcrossing is a positive sign to the world ! Congratulations postcrossing why not..let"s continue! AWESOME!! Everybody cvan be proud and happy!!! Congratulations! I love this project. Thanks so much to Paulo, who made this possible. Congratulations to the winners and to Paulo!!! my congrats to everybody who helped this happened! 5 mln! oh my god! congratulations! 4.000.000 postcards, it`s amazing. I can`t believe no one, from +1000 guesses had the right answer! Thanks to all postcrossers and of course Ann and Paolo! Everyone here contributed at least one postcard for 4 million ones. Unfortunately, nobody was vest with a right to be the winner but! we have a chance to do it next time. Cheer up! Woohoohoo!!! So exciting!!! I hardly left my computer all day because I didn't want to miss any of the countdown! Congratulations! Congratulations from me, too. I am so happy to be involved with this project. Thank you Paolo! We'll do a whole lot more! Woohoo! We are going to have to start counting by 5 million soon! Congrats! WOO HOOOOO, we made it!!!!!!! Wow! And what a beautiful card to celebrate the occassion. This is so much fun! On to 5 Million! Let's keep on sending/receiving cards on the way to 5 millions !!! I joined PC about a month ago, simply because I needed to get rid of some postcards... but I think I'm becoming addicted-- I was glued to the countdown! Congrats everybody! really great ! congratulations !! Congratulations Paulo! Let's go to the 5 million. A new milestone! Thanks Paulo, Ana and Team!! I was on the edge of my chair!!!! 10 and counting down.. but then.. OOPS! lol! Yay!!! Congratulations!! It's a very beautiful card! Hurray! The 4,000,000th postcard was received! 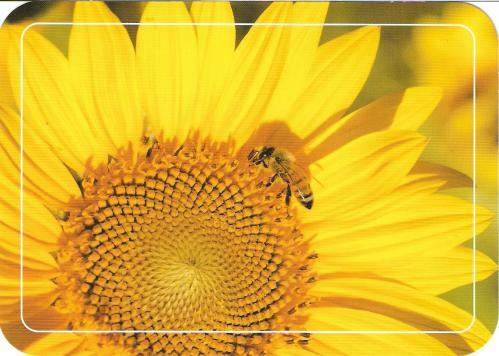 The postcard from JS1980 in Czech Republic to scheppie in the Netherlands has arrived! It reached its destination in 26 days and travelled 872 kilometer. Up now for the 5,000,000! 4,000,000!!!! and that's just official cards - a mere fraction of ALL postcrossing cards circling the globe! Congrats JS1980 and scheppie, congrats Paulo and Ana and congrats to all postcrossers who made this possible. How about a countdown to 4'444'444 ? Congratulations, somebody shoud send this information to the post office, they think they are losing revenue, so they will be closing the post offices on saturdays. wow.. we reached to 4 Millions finally. Yes, we shall count down or in this case, count up to 5 million! Maybe in my lifetime, we'll have 1 billion postcards recorded here. That would be so cool! It's possible, right? If we continue to go at it! Why not? I'm not sure about the calculation of it, but it should be kept in track with all these numbers and statistics. Anyway, congratulations! If somebody wants to swap, I have exactly this card in my collection. yeyeye!!! congratulations!!! and go postcrossing go!!! FOUR MILLION ! CONGRATULATIONS TO ALL !!!!!!!!!!!!!!!!!! Conratulations four million times over to everyone!! Next up, 10 million. Should reach it in a jiffy, as growth is occurring at an exponential rate. That's great! I'm sure 5 million cards will be reached soon! Congrats to the Winners! No one had the right answer, so you see that there are so many combinations possible - that's what makes this project so exciting! Thanks to all the helpers! A beautiful card to cheer us all. Congratulations! I'm pleased I was a member for the great number. Many more millions I hope. Yay!!Congratulations!!! Let's go for the 5 millions!!! Wow! That is so fantastic! It has been so much fun to take part in Postcrossing. Congratulations to everybody concerned! I think it's like being an unknown recording artist, releasing your first CD and it sells four million copies. Wow, what a feeling! Paulo must feel just like that! Congrats and thanks, Paulo! Hearty Congratulations to everyone! 5 million...HERE WE COME!! Let's get to 5 million before August!!! 4 million...Unbelievable. Thank you so much for your hard work! Congratulations! And let's start the countdown to 5 million, I believe we'll get there soon! YESSS YESSS... count to 5 Million! Congrats! ;) I believe we should get a new goal now, ha?